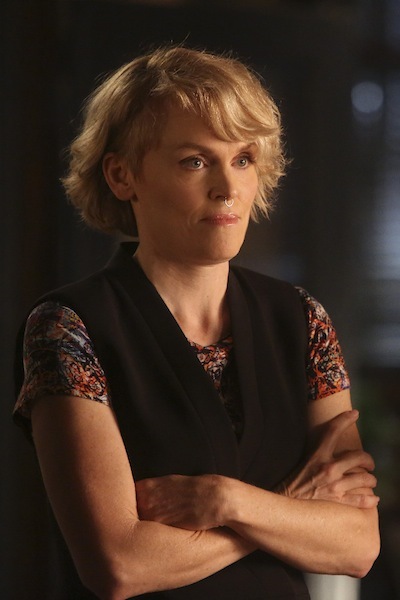 THE COMEDIANS star Stephnie Weir is appearing in the next episode of CASTLE, as Castle and Beckett must figure out who stole an expensive piece of art (and killed the transporter). CASTLE airs Mondays 10 PM on ABC. 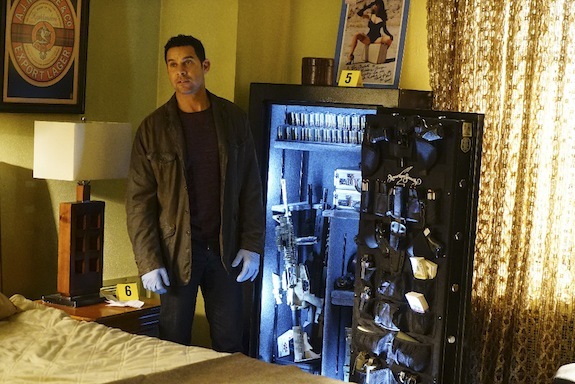 CASTLE is diving back into the mystery of what happened to Castle in his missing two months. And now we have our first photos from the hour, “Sleeper.” Check them out! 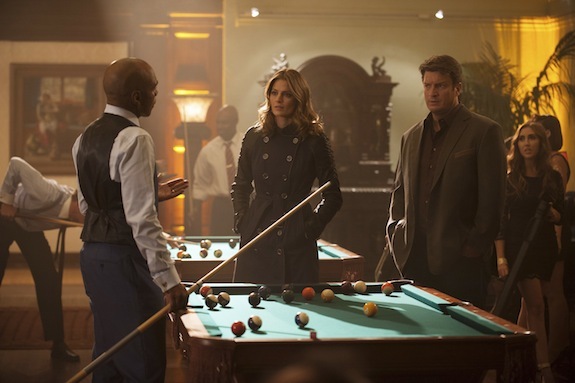 The March 23rd episode of CASTLE is focusing on Ryan (whose work as a security detail goes awry) and it has a few familiar TV faces guesting: THE GHOST WHISPERER’s David Conrad, 24’s Reiko Aylesworth, and DESPERATE HOUSEWIVES’ Ricardo Chavira. 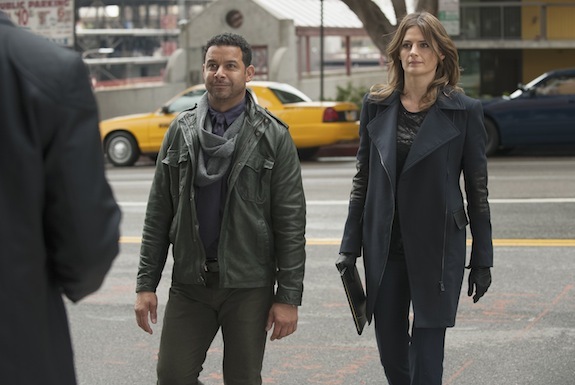 CASTLE’s Beckett is teaming up with a detective from Hong Kong in the next new episode of the ABC drama. 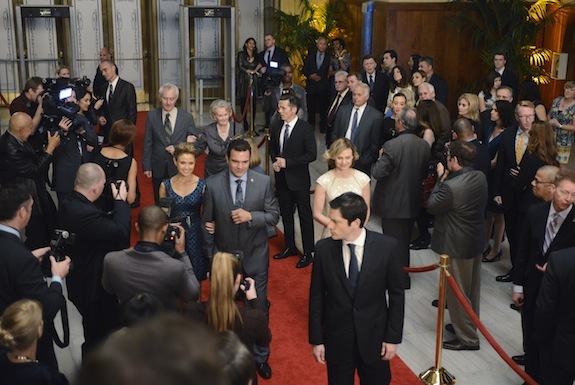 Check out some photos from the hour! Tags: CASTLE, Castle photos, Private Eye Caramba! 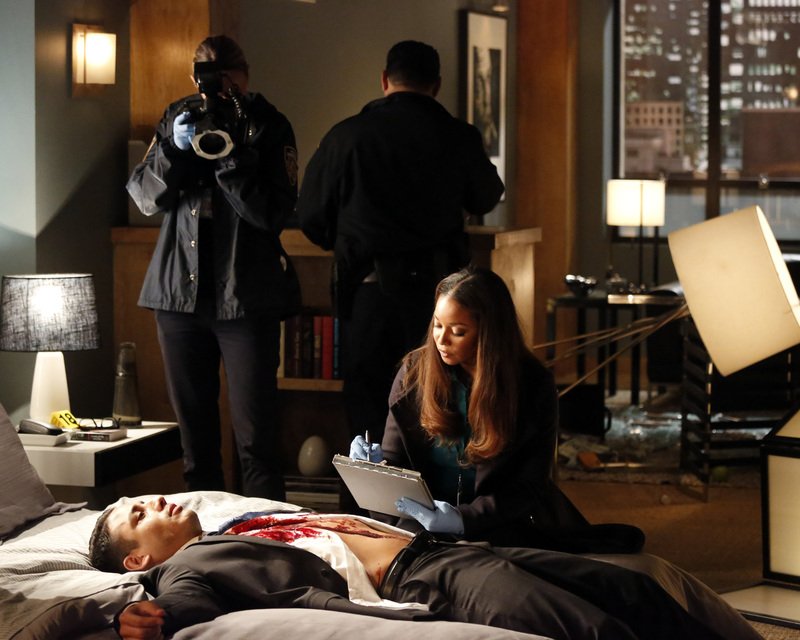 CASTLE has a new job, but the photos from the first episode of 2015, “Castle, P.I.” show that not much has really changed. 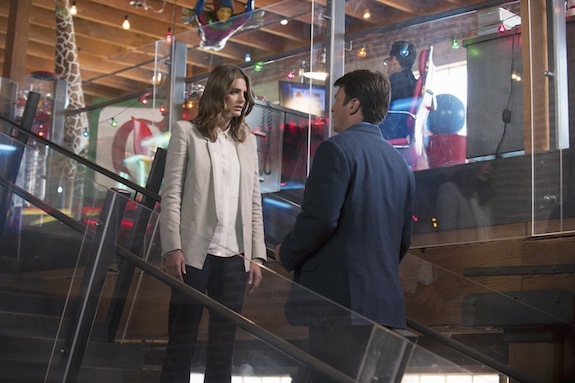 CASTLE returns Monday, January 12th at 10 PM on ABC. CASTLE is getting the chance to go undercover…in an elementary school. CASTLE Season 7 Premiere Teaser: Was There a Body in Castle’s Car? 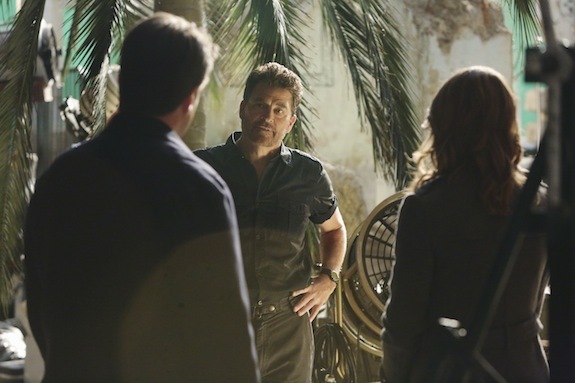 CASTLE’s title character is officially is alive — though he’s missing some of his memories — and the team has some mysteries to solve…though Castle isn’t quite done looking for answers about what happened to him. 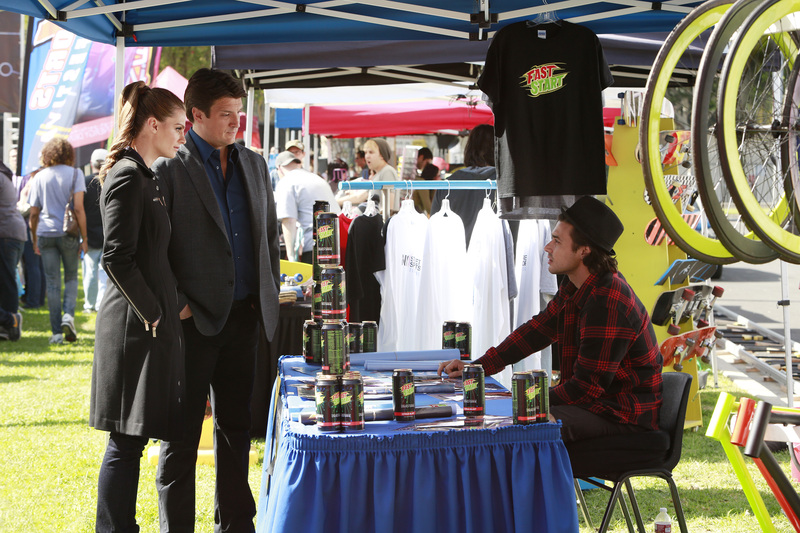 CASTLE takes on the world of extreme sports in the upcoming episode, “Law & Boarder,” and in case you’ve been missing the show, we have some photos from the hour to tide you over. 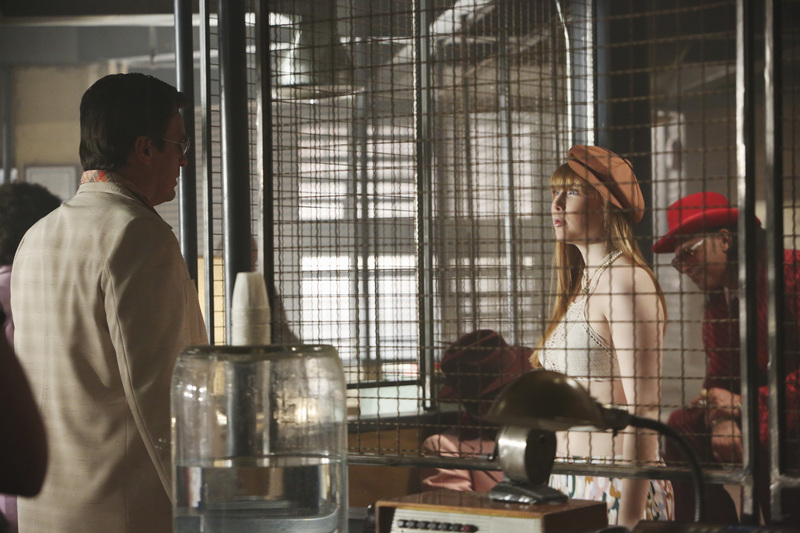 When CASTLE returns on April 21st, the show is taking a trip to the ’70s…but don’t expect it to be a redux of, “Blue Butterfly,” the noir episode from two years ago. Captain Gates is finally getting a bit of a spotlight in an upcoming episode of CASTLE, but it might not be under circumstances she’s too pleased with.